Uber is already one of the most convenient methods to get around NYC, but now the company is hoping to make its service more affordable with a new innovation. 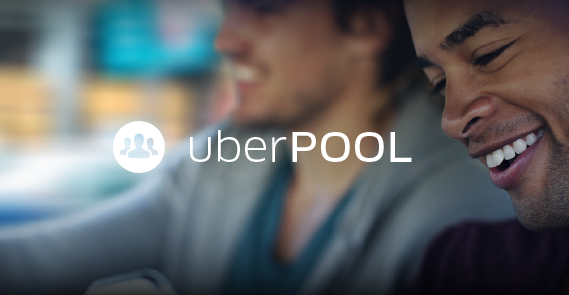 Last week, the transportation tech company unveiled uberPOOL, a feature that would allow people who are riding along a similar route to share a ride together, at a fraction of the price of a New York City taxi. How does it work? Once an Uber user enters their pick-up location and destination, uberPOOL matches each user with another rider who may be traveling along a similar route. For example, if you request a pickup at Grand Central Station and want to head up to Central Park, if another user near you happens to be going in the same direction, uberPOOL will allow you to share the same car. It may seem a bit odd to share a car with a stranger, but Uber says that it can reduce the cost of your trip by up to 50 percent. Uber is introducing its uberPOOL feature in NYC that allows people that are riding along a similar route to share a ride together, at a price the fraction of a taxi.